Home Mountain Abode is a colorful and trendy property situated near Shogi Bypass, in Shimla. Wooden wall claddings lend warmth to the reception area. 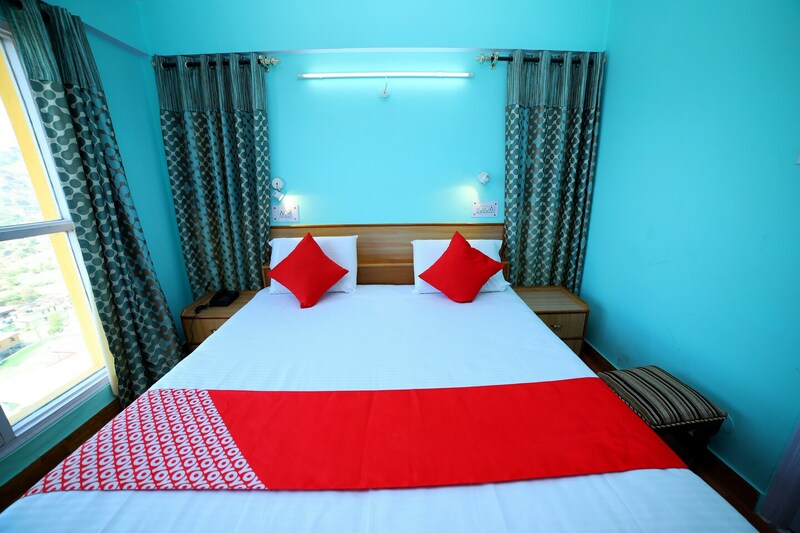 The cozy, well designed rooms give wonderful views of the hills of Shimla. The rooms are neat, well-furnished and feature TV, heater and the bathrooms have geysers. Guests can avail laundry services. There is an in-house restaurant offering delicious dishesand other advantages include parking space and CCTV cameras. Shimlas famous Jhakhu Temple and Christ Church are nearby tourist attractions. The property is also close to a few shops and banks.